Contents:	Keyboard cover. IIe shown is for illustration and not included. A nice looking way to keep the dust out of your Apple IIe keyboard! 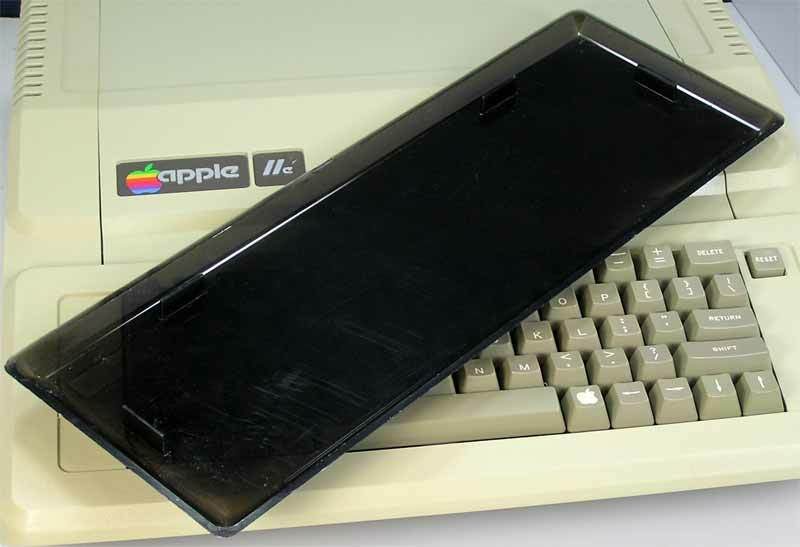 This cover will not work with the extended keyboard on the Platinum //e (built in numeric keypad). The last cover in stock does have more scratches than the one pictured and you can tell there was sticker in the center. So, pictures are representative and the one you receive will show a little more scratches.